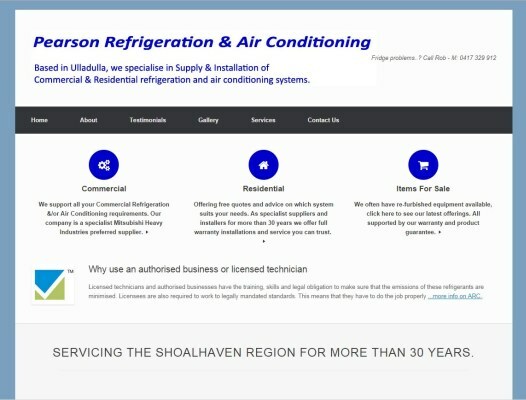 Rob was in need of a website for his Ulladulla Refrigeration & Air-conditioning business & we met during the installation of our split system air conditioner – simple – we immediately had a connection. The aim was, via WordPress, to provide a CMS site that gave him the option of further changes if required. To date it is static and used to profile their business.